Good morning. It's Monday, April 15. • Laguna Beach is divided over U.S. flags on police cars. • North State's Hoopa people race to save their language. 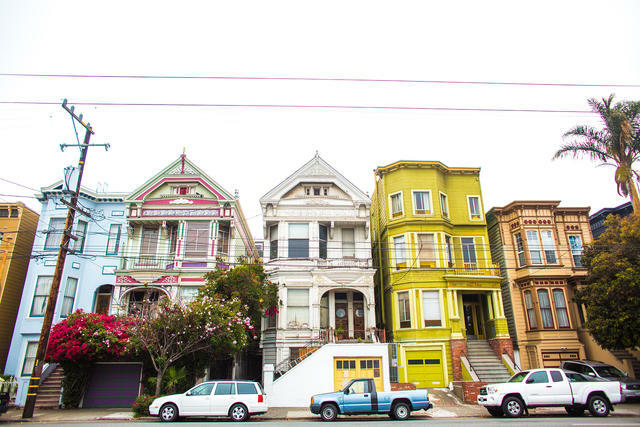 • And how much it takes to live comfortably in the Bay Area. 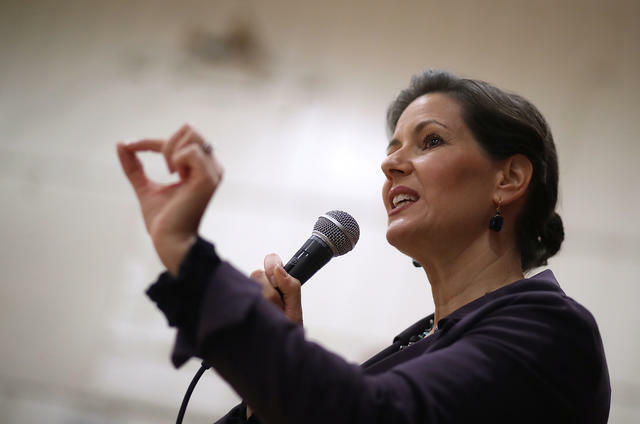 Mayor Libby Schaaf called President Trump's bluff on his sanctuary cities threat. White House officials said President Trump's proposal to release detained migrants in sanctuary cities is being revived, even after objections from immigration officials. In a series of tweets, Trump singled out Oakland's Democratic mayor, Libby Schaaf, accusing her of not wanting released immigrants. She responded: "Oakland welcomes all." "Your gender identity is the least of our concerns." That was Maj. Gen. Matthew Beevers of the California National Guard, speaking after the Pentagon's ban on transgender troops went into effect last Friday. Beevers said waivers within the new policy would allow for the Guard to continue allowing transgender service members. "As long as you’re willing to fight," he said, "you can serve." 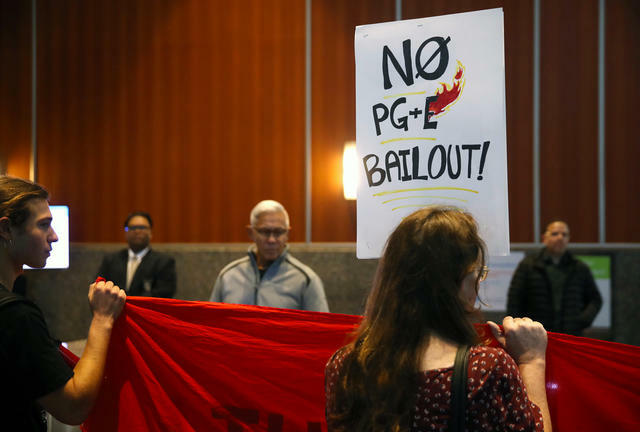 Protesters staged a demonstration inside PG&E's lobby in San Francisco last December. Gov. Gavin Newsom said the costs of wildfires should be spread more "broadly" as he urged lawmakers to consider relaxing a law that makes utilities pay for wildfire damage caused by their equipment. "Everyone wants everyone else to pay for it," Newsom said. "We're all in this together." PG&E shares shot up 21 percent. Sen. Kamala Harris released 15 years of tax returns, offering the most complete look to date at a presidential candidate’s finances. The records went back to 2004, when Harris was elected district attorney of San Francisco. They showed that she and her husband earned nearly $2 million in 2018, including roughly $320,000 from Harris's memoir. They paid about $563,000 in federal taxes and donated $27,000 to charity. A motorcyclist rode between lanes on Highway 99 in Sacramento. 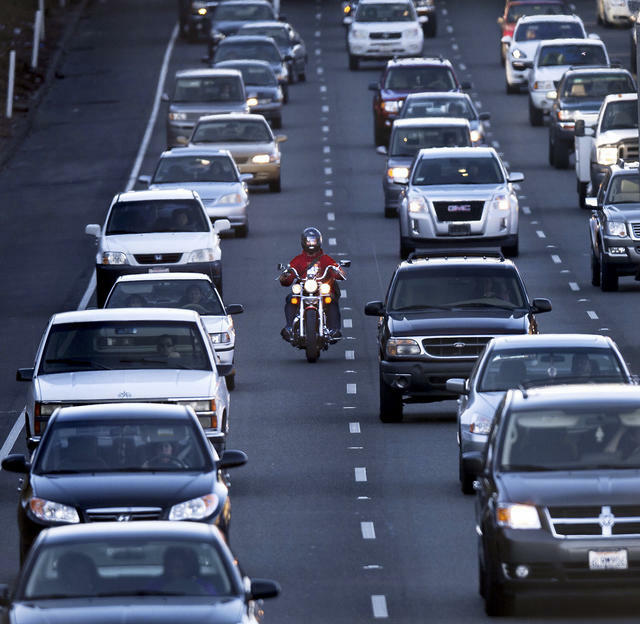 In a 2012 study, almost half of California drivers said they thought lane-splitting was illegal. Yet state law has never prohibited the practice of motorcycles weaving freely between slow-moving or stopped cars. In fact, California has the only state law that formally legalizes lane-splitting (Utah allows limited lane-splitting). One reason: Stop-and-go traffic is among the most dangerous situations for motorcyclists, who risk being crushed by inattentive drivers. As a result, motorcycle groups say, California has significantly fewer motorcyclist fatalities from rear-endings than other states. 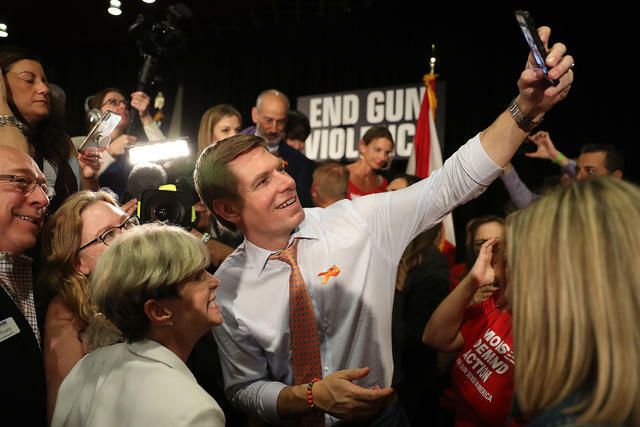 Rep. Eric Swalwell greeted people during a gun violence town hall in Sunrise, Fla., last week. Eric Swalwell, a 38-year-old Bay Area congressman of little legislative distinction, appears to have slim hopes in his quest to win the presidency. But there are other reasons to try, among them book deals, board seats, and paid speeches. "If recent history is a guide," the N.Y. Times wrote, "a run is likely to yield better things, perpetuating the victory-in-defeat incentive structure endemic to modern presidential politics." The definition of middle class has shifted in the Bay Area. "Right now probably $10 million is needed to be comfortable." That was money manager Steven Jon Kaplan on what it takes to get by in the Bay Area. Kaplan may be out of touch with the lives of regular people, but certainly the standard definitions of middle class — earning between $64,400 and $193,300 in San Jose, for example — increasingly fail to apply in the Bay Area, where the cost of living has pushed far beyond the national average. A Northern California police officer fatally shot a man who behaved menacingly with a stick, the authorities said. Officers in Red Bluff, about 20 miles south of Redding, had tried to subdue the man with a stun gun and bean bag rounds. When he threatened the officers with the stick, he was shot in the chest, officials said. A witness said the police acted rashly. "There was no threat," he said. 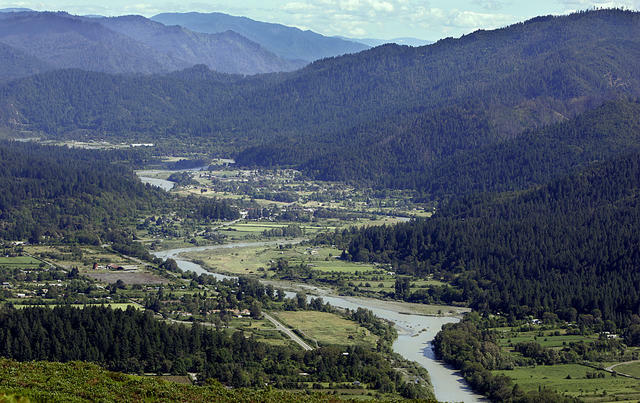 The Trinity River snakes through the Hoopa Valley, northeast of Eureka. When a language dies, an entire vision of the world disappears. The story of the Hoopa Valley Tribe stretches back thousands of years in the region that became Humboldt County. After the Gold Rush, white settlers burned the Hoopa people's traditional clothing and forbade the children to speak in their native tongue. Today, with only about 20 people fluent enough to teach Hoopa, the tribe is in a race against time to save their language. "We need to learn fast, and we need to teach fast," a Hoopa official said. Here's a view of Stinson Beach, by some accounts the best beach along the Bay Area coast. 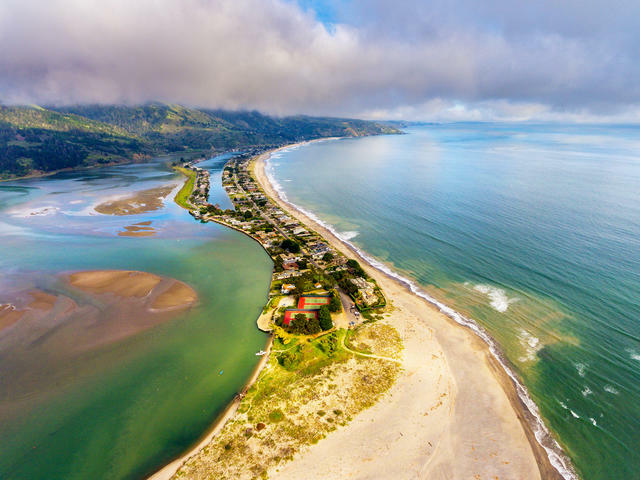 Hugging Bolinas Bay, about 20 miles north of San Francisco, its white sands and gentle surf make it a favorite among swimmers and paddleboarders. Curbed included Stinson in its list of the Bay Area's 11 best beaches. A new flag design on Laguna Beach police cars has stirred debate. 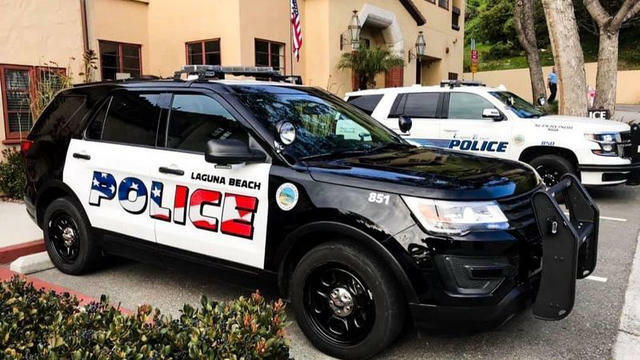 The Laguna Beach Police Department put American flag graphics on the sides of their squad cars and residents of the seaside city are divided over it. Supporters see it as patriotic; others are calling it too "aggressive." "We have such an amazing community of artists here, and I thought the aesthetic didn't really represent our community," one critic said. Officials agreed to reconsider the design. State regulators are scheduled to meet this week to discuss the fate of Santa Anita Park, where 23 thoroughbreds have died since Christmas. Once unthinkable, calls to ban racing at the track are now getting serious scrutiny. "Thoroughbred horse racing in the United States is at a crossroads," Santa Anita's owner said. The Stratolaunch flew for more than two hours over the Mojave Desert. The world's biggest airplane just took its maiden voyage over the desert north of Los Angeles. 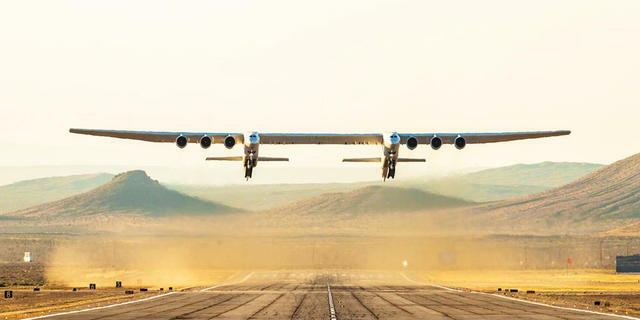 The Stratolaunch, its wingspan longer than a football field, lifted off Saturday from Mojave Air and Space Port in a critical test for the aircraft, designed to launch rockets into orbit from the air. Here's a short clip of the flight on YouTube, and a write-up by The Verge. 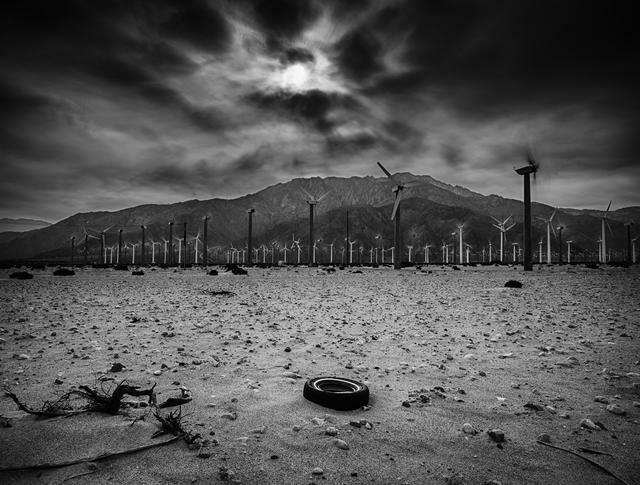 Wind turbines in Palm Springs, where air pollution has worsened. California cities are infamous for air pollution. Now moving up the rankings: Palm Springs. Regulators said wildfires and heat waves had conspired to push the Coachella Valley's ozone into the category of "extreme" — the highest federal classification. But the biggest culprit is pollution blown inland from L.A. "To paraphrase Bob Dylan," a scientist said, "the answer is blowing in the wind." 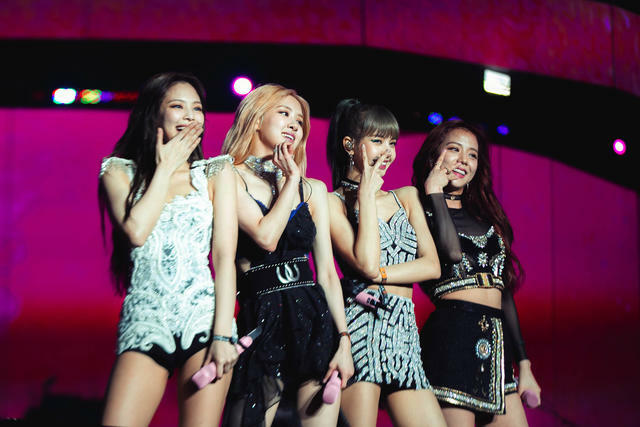 Blackpink performed at the Coachella music festival in Indio on Friday.